Abilify is a prescription medication manufactured by Otsuka America Pharmaceutical, Inc. Abilify is an anti-depressant described by general physicians for depression, bipolar disorder, schizophrenia and certain symptoms of autism. Abilify is a pharmaceutical drug that aims to relieve serious symptoms of depression. It is used as an additional treatment for depression for adults who suffer from Major Depressive Disorder and are not responding to other antidepressants. It is also used to treat the symptoms of Bipolar Disorder in adults and children. Schizophrenia may also be treated with Abilify. Abilify is NOT approved to treat pediatric patients with depression. Abilify should be taken once per day and may be taken with or without food. You should clarify with your doctor what time of day you should take Abilify and stick to the schedule suggested by your physician. If you miss a dose, take it when you remember. If you are close to the time of your next dose, just skip the dose and continue with your schedule. Do not stop taking Abilify without consulting your doctor. 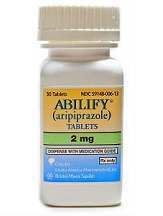 Abilify is made from the drug aripiprazole. Aripiprazole controls some of the effects of certain chemicals in the brain which are thought to affect thinking, feelings and behaviour. Do not take Abilify if you have been drinking alcohol or if you are currently breastfeeding. Do not take Abilify if you must limit your sugar intake. Abilify does not list a price online. Because of the nature of the medication, it may or may not be covered by your insurance provider. Abilify offer a savings card program that suggests that you may qualify to purchase Abilify for $5 a month. Abilify is a treatment for depression, schizophrenia and bipolar disorder. Abilify may have side effects like restlessness, insomnia, tiredness, blurred vision or constipation. The most common side effects in adults taking Abilify include nausea, vomiting, headache and dizziness. The most common side effects for children to 17 years old include sleepiness, headache, vomiting, uncontrolled movement disorders, tiredness, insomnia, stuffy nose, or weight gain. If you are allergic to aripiprazole you should not use Abilify. Antidepressants like Abilify may cause an increase in symptoms like suicidal thoughts in younger patients. Any suicidal thoughts should be immediately reported to your healthcare. Abilify has been approved by the FDA for over 10 years. Abilify offers no guarantee or return policy. You are encouraged to report your experiences with Abilify to the FDA. Abilify is designed for people who suffer from serious long term depression, schizophrenia or bipolar disorder. Abilify has been approved by the FDA for over 10 years but it is a heavy pharmaceutical drug that may increase suicidal tendencies in its younger users. Abilify is mostly used alongside other antidepressants when that antidepressant does not relieve all of the symptoms of depression. Abilify may leave you with serious side effects as well as side effects which would inhibit your daily life.